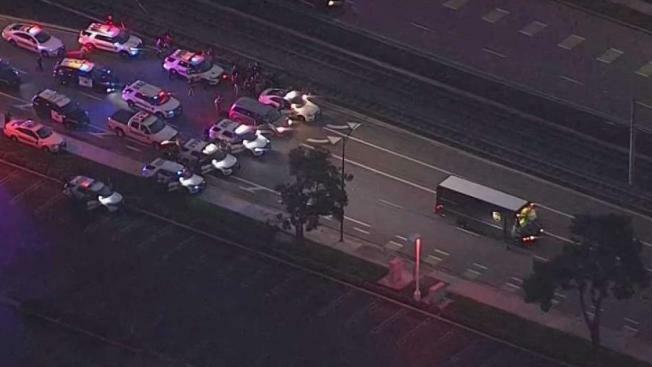 As authorities continue looking into the deadly standoff in San Jose, the UPS driver who was held hostage for hours is hailed as a hero by police. Ian Cull reports. The San Jose police chief on Friday praised the actions of the UPS driver taken hostage by an armed carjacker, who was eventually shot and killed Thursday by authorities after a tense pursuit and standoff on city streets. The UPS driver purposely drove slowly over spikes to stop the vehicle, according to San Jose Police Chief Eddie Garcia. 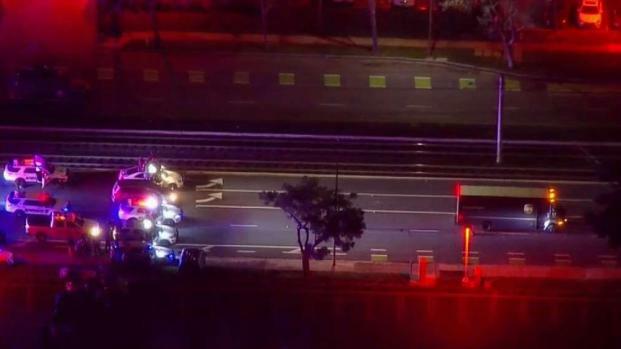 In order to keep police on their trail, the driver said he told the hijacker that UPS box trucks could only go 50 miles an hour. The chase began late Thursday afternoon after a sheriff deputy approached a suspicious SUV illegally parking by the Ohlone-Chynoweth VTA light rail station. The San Jose police chief on Friday praised the actions of the UPS driver taken hostage by an armed carjacker, who was eventually shot and killed Thursday by authorities after a tense pursuit and standoff on city streets. Robert Handa reports. Mark Morasky and a female suspect identified by police as 24-year-old Joanna Macy-Rogers were inside the vehicle and they took off as soon as they recognized the approaching deputy. Officers later relocated the vehicle nearby and that's when the woman fired one shot at the sheriff's deputy vehicle. Authorities said the woman shot at officers at least three more times during the pursuit along Highway 87. The SUV exited on Curtner Avenue and the suspects abandoned their vehicle. That's when they spotted the UPS driver walking, and forced him at gunpoint to get into his box truck and drive, according to Garcia. San Jose police then joined sheriff's deputies in the chase. The UPS driver eventually took the exit on Skyport Drive and the pursuit turned into an intense standoff on North First Street and Trimble Road. A dispatch call from the standoff confirmed what friends of the suspect told law enforcement officials, that he didn't want to live through the confrontation with officers. "The suspect also said that he wanted to die tonight," an officer can be heard telling the dispatch center in the call before Morasky was eventually shot and killed by police after he ran from a UPS truck he allegedly hijacked with a shotgun. 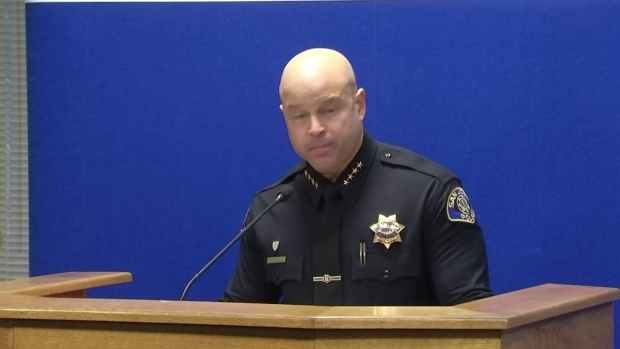 San Jose Police Department Chief Eddie Garcia provides updates on the standoff with a suspected armed hijacker. Macy-Rogers was released from the UPS box truck and taken into custody, according to officials. The unidentified UPS driver who was taken hostage was safely released. Chief Garcia said Macy-Rogers was charged with attempted murder, car jacking, kidnapping and shooting at occupied vehicles. Morasky ran out of the truck with a shotgun and was shot by a San Jose police officer. Investigators later made a grim discovery in the SUV Morasky and Macy-Rogers were driving. “They had the loaded shotgun of course, additional shotgun shells, but also duct tape, a machete and zip ties.” Sheriff Laurie Smith said. Morasky was on parole from armed robbery and carjacking charges. He was sentenced to five years in prison, and served four years in 2012, according to Garcia. 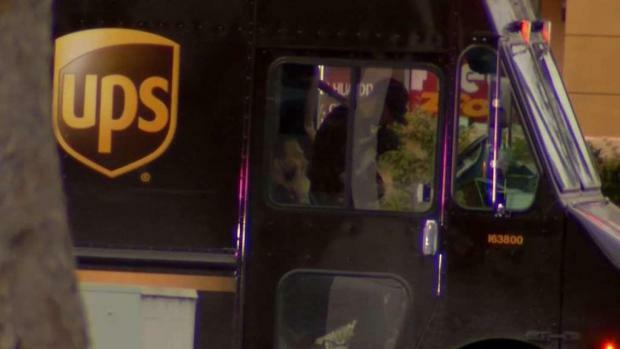 A standoff in San Jose on Thursday ended with authorities killing a gunman they say hijacked a UPS truck with the driver inside. According to dispatch call records, the driver said he "wanted to die." Kris Sanchez reports. The officer who shot and killed Morasky has been placed on paid administrative leave. Internal Affairs and the District Attorney's office continue to investigate the incident.